I captured the Space Station careening toward the Hunter on the night of March 2, 2012, just a little after 7:50 pm. A half-moon illuminated the event… who won? 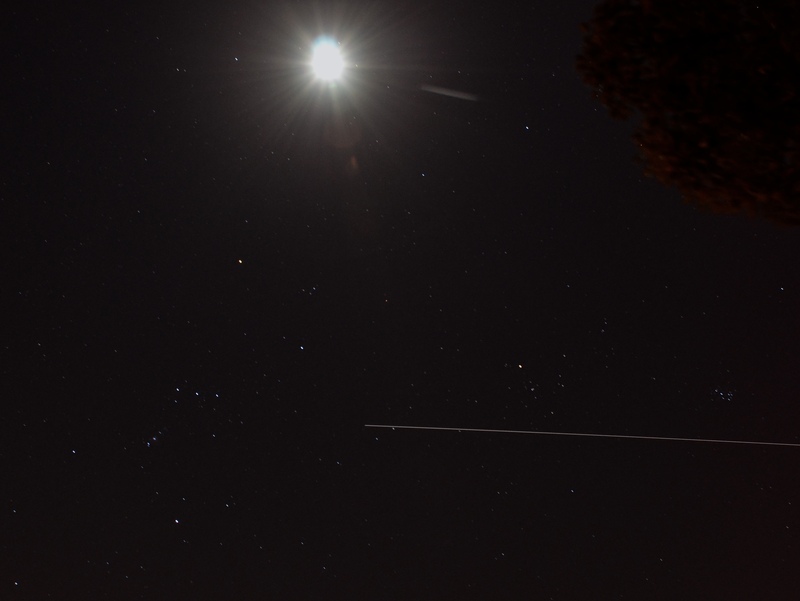 Well, let’s just say Orion’s still up there and the ISS faded away shortly after! Image taken with a Nikon D7000 and 18mm lens. 30s exposure, 1000 ISO, f/9. Previous Post How Many Stars Can Astronauts See?